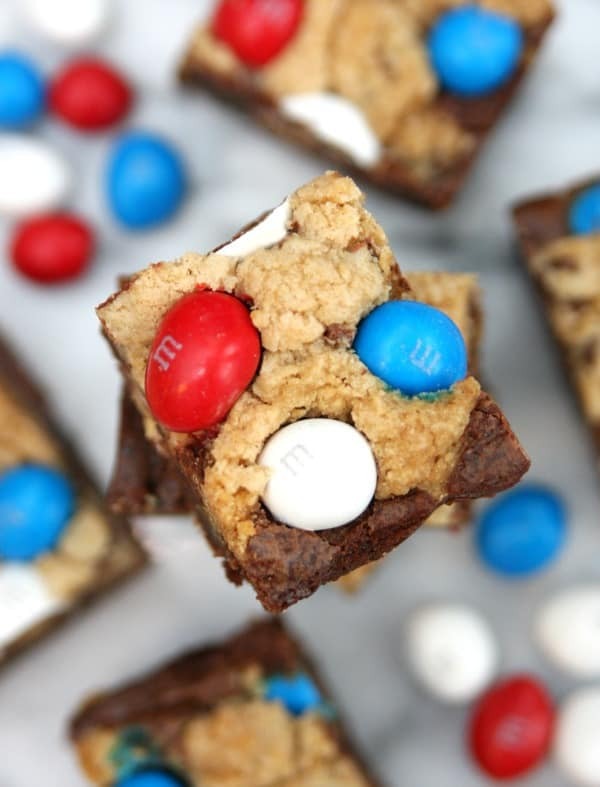 What happens when you combine brownies, chocolate chip cookies, and M&M’s? 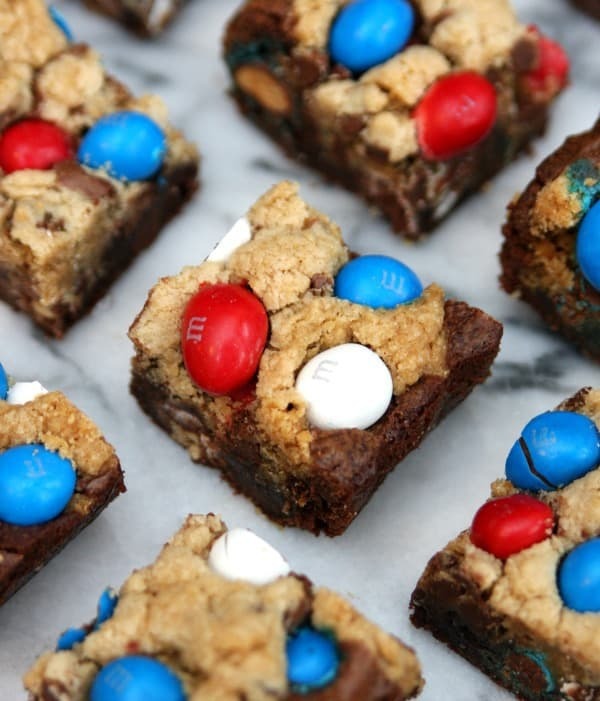 These delicious and festive Red, White, and Blue Brookie Bars – the perfect 4th of July dessert recipe. Today I want to give a huge shout out to my wonderful husband and all our friends who serve our great country. I’m extremely proud of my husband and everything he sacrifices to fight for our freedom. We’ve been married for 13 years and he has probably spent half that time away on a ship. There are times when it is difficult but I support him 100% because he works hard everyday for our family. 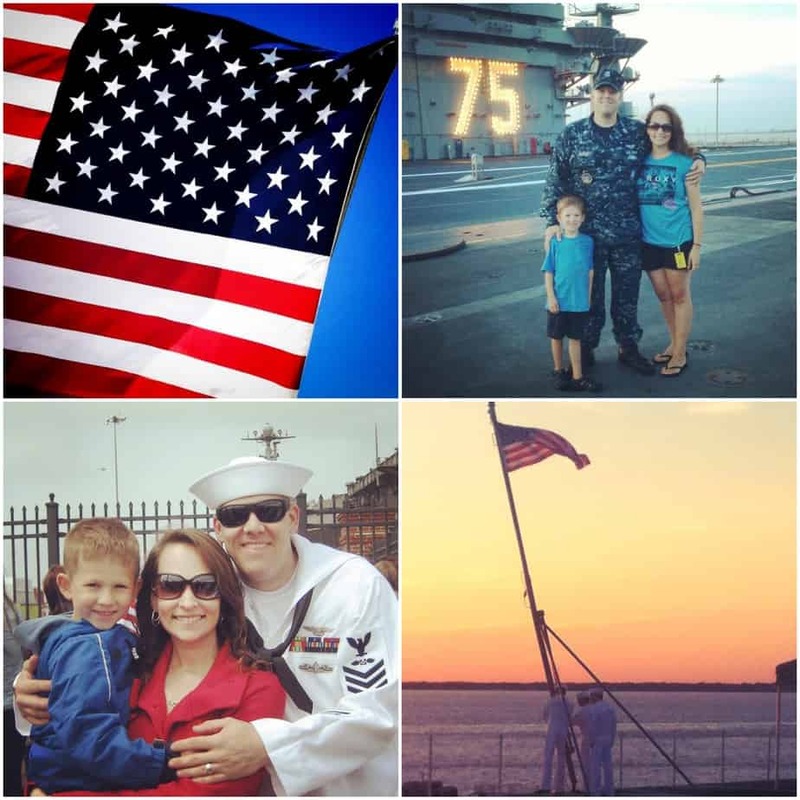 In the 13 years that he’s been in the Navy, he has never called in sick to work, he has never been late to work, and he has never complained once about being in the Navy. I can honestly say that he loves his job and he truly loves being a sailor. I also learned a new fun fact this weekend. 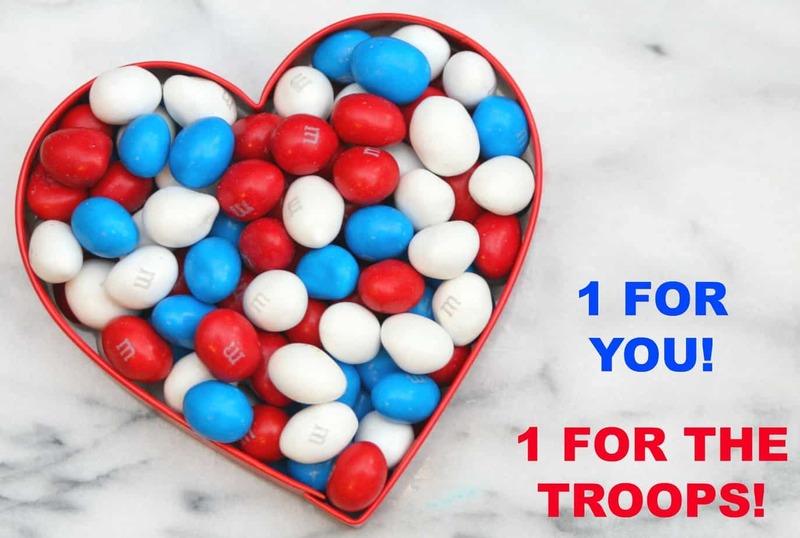 M&M’s® were originally created for the troops. They were sold exclusively to the military and included in the American soldier’s rations. My husband and I were both surprised to learn this and I was able to teach Connor what a ration was. We also learned that the hard candy shell was created to keep the chocolate from melting during the hot summer months. Well, now that your craving chocolate, It’s time for me to share these Brownie Chocolate Chip Cookie Bars also known as Brookie Bars. Have you ever been faced with the difficult decision of having to make either brownies or chocolate chip cookies? Well, have no fear – now you can make them both together. Add some M&M’s® and you’ve got one of the best dessert recipes ever! Yum! Don’t they look delicious? I can tell you right now they taste amazing and it was hard for me not to eat the entire pan myself. 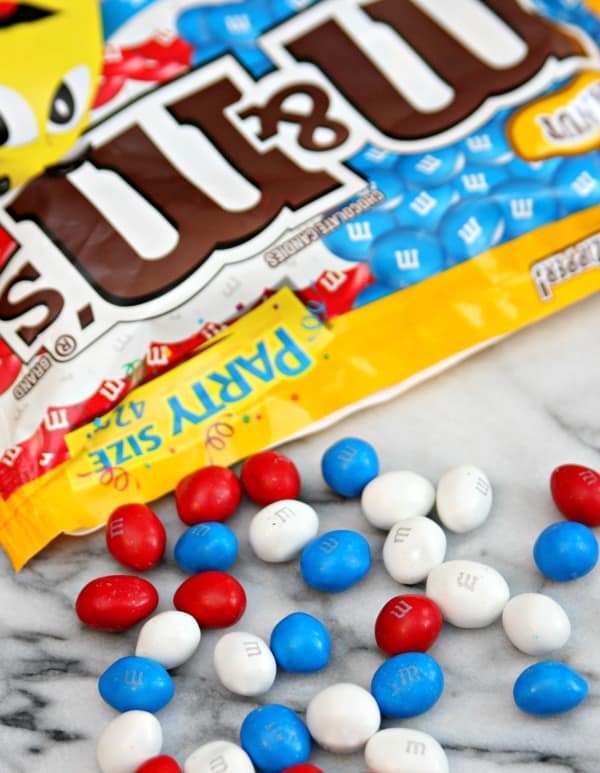 I made this batch with M&M’s® Peanut but next time I’m going to make them with M&M’s® Peanut Butter. And as a Navy wife, I love any opportunity to support our troops. 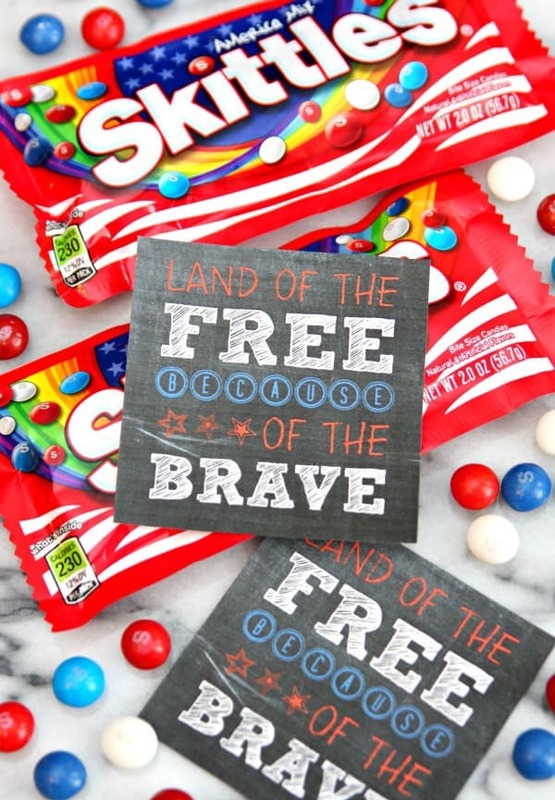 I created this fun little printable and attached them to bags of red, white, and blue skittles. Then Connor went around to our neighbors who are also in the Navy and handed them out to thank them for their service. Just one small way we can show our gratitude and appreciation. 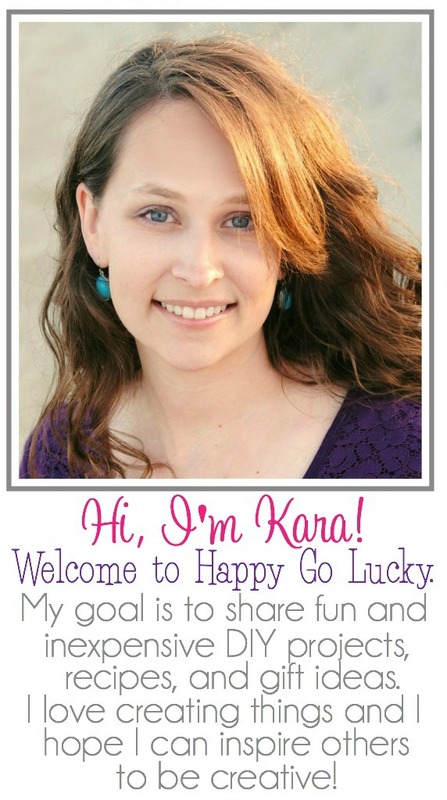 Download the free printable HERE. 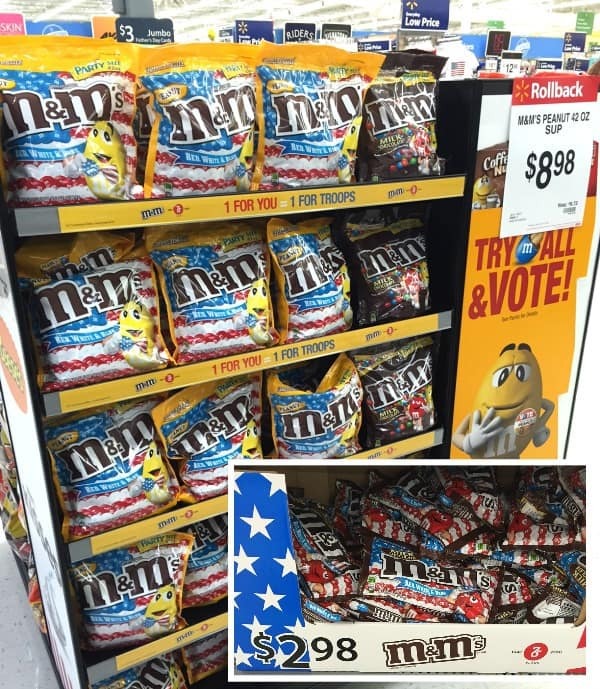 Pick up a few bags of M&M’s® Red, White, & Blue Milk Chocolate, M&M’s® Red, White, & Blue Peanut, and Skittles® Red, White, & Blue the next time your shopping at Walmart so you can help support our troops too. A few stores will also have in-store events with representatives sharing information about the “1 For You, 1 For the Troops” campaign. 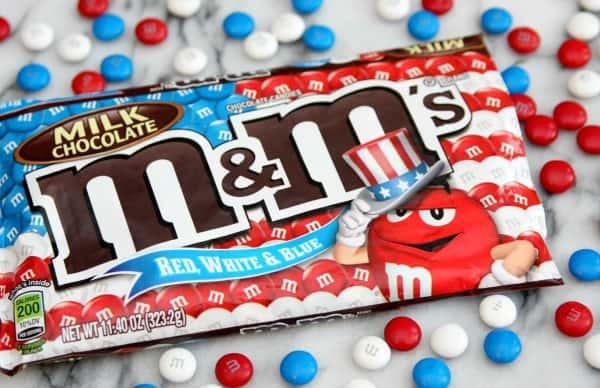 Check out more delicious patriotic recipes that will help satisfy your sweet tooth.